The Asus Zenfone 4 Max is here, signals more Zenfone 4 units to come. 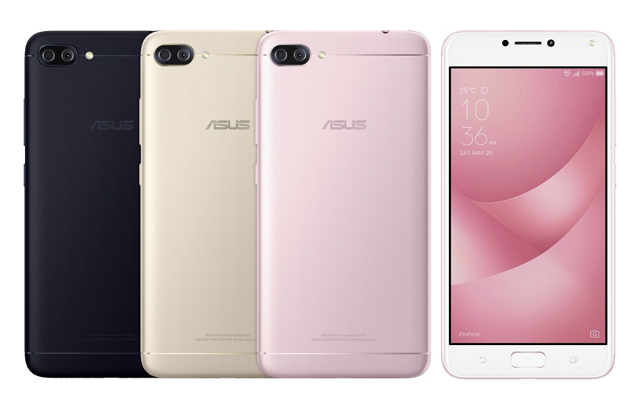 Asus Zenfone 4 Max debuts signalling a new wave of Zenfones coming from the company. I know most of us are excited, but Asus wants us to enjoy these releases one at a time. So for now, we have the Zenfone 4 Max with a mammoth 5000 mAh battery. Obviously, this will outlast most of the smartphones in the market today. Design-wise, it looks like its predecessor except that it boasts a dual-lens set-up which is quite interesting knowing that smartphones of this tier rarely get the same treatment. The display has been revved-up a notch to 5.5-inch HD with 2.5D glass; and probably it'll be layered with Gorilla Glass treatment on top of the display module. In terms of hardware, the Asus Zenfone 4 Max comes in two variant - an octa-core 1.4GHz Snapdragon 430 and a quad-core 1.4GHz Snapdragon 425. RAM configurations are also registered in two - 2GB and 4GB. There's also a choice among 16GB, 32GB and 64GB storage. All variant comes with a dedicated microSD slot just in case you need more room for your multimedia files. The rear-mounted cameras come with 13MP sensors while the selfie camera is of 8MP affair. The Zenfone 4 Max comes with an LTE connectivity; and it boots with Android 7.0 Nougat, both are welcome features in the Asus Zenfone 4 Max. No Philippine release date and pricing have been announced yet. Stay tuned.